ARASH RAJAI* explains the importance of understanding the consequences of excluding liability for consequential loss in a construction contract. FOR any contractor or service provider entering into a construction contract, one of the most important priorities in contract negotiation is to manage its overall financial exposure. This is commonly achieved in construction contracts by agreeing to a financial cap on liability and/or by attempting to exclude certain types of liability commonly called “consequential or indirect losses”. I say “attempting” to exclude such losses, because often the exclusion clause agreed and set out in the contract does not reflect the intention of the parties. As with so many problematic concepts in construction law, this difficulty arises partly from the borrowing of English Law terms. In this case, the problem is compounded because consequential and indirect losses are often not well understood by drafters and users of English contracts either! They are defined principally with reference to some old English case law which considered losses flowing naturally (and directly) from a breach of contract and those which do not. The problem is that the term “consequential or indirect losses” has become generally misunderstood through losing sight of those principles. Clauses that exclude liability for consequential losses are generally enforceable under UAE law (subject to statutory terms, including those that prohibit exemptions for a harmful act, prevent reliance where the defendant has caused “serious fault” and subject always to strict decennial liability for dangerous or structural defects). However, a recurring theme in construction disputes across various jurisdictions, including the Middle East, is the uncertainty in relation to the scope of consequential loss exclusion clauses. The obvious question is – in practical terms – what kind of losses do these clauses intend to cover? By way of background, when a construction contract is breached, the loss suffered may be either direct or indirect (also known as consequential loss). Direct losses are those that flow naturally from the breach, such as if an employer is forced to pay out for remedial costs as a result of a contractor’s defective work. Indirect or consequential losses are commonly thought of as those losses which were within the reasonable contemplation of the parties at the time of contracting as being an indirect consequence of the breach. Common examples could include loss of profit (more on this head of loss below), damage to goodwill, interest and finance charges and increase in labour costs. The Fidic clause touches on two of the common dispute issues encountered in these exclusion clauses (see the underlined text in quotes above): whether ‘loss of profit’ is a direct or indirect loss; and, what is meant by the catch-all exclusion of ‘any indirect or consequential loss or damage’. • Loss of profit: The most common misconception is that loss of profits is always a consequential loss. Certain loss of profits could flow naturally from the breach, in which case they will be categorised as a direct loss, but other losses may be more remote or indirect. For instance, if a breach of contract causes the loss of a separate and lucrative contract which the employer would have entered into but for the breach by the contractor, and the contractor had no knowledge of the possibility of the lucrative contract award (that is, it was not in the contemplation of the parties at the time of contracting that award of the lucrative contract was contingent on the proper performance of the services or carrying out of the work) then the loss of profit is likely to be classified as an extra indirect profit. A clause inadvertently excluding liability for loss of profit of the indirect kind could end up as a nasty shock to the relying party in the event it is exposed to substantial damages claim for direct loss of profit, which it believed was excluded from the contract. The party relying on this clause1 thought it was exempt from both direct and indirect losses for the heads of losses mentioned including – crucially – loss of profit. There was clearly thought and effort put into this clause and these are the sort of words we often see in bespoke contracts. The clause is unfortunately ambiguous; but does it mean that the parties deem all loss of profit, including direct loss, to be a consequential loss? A court found that the scope of the losses in the parenthesis were defined by what was written before; each head of loss, including loss of profit, was simply an example of indirect loss. The clause failed to exclude direct losses, and the defendant was liable for, amongst others, the direct loss of profits suffered by the injured party. In contrast to the mutual waiver set out above, clause 17.6 of the Fidic Yellow Book does not categorise loss of profit as an example of indirect or consequential loss, but sets it out as a freestanding head of loss in its own right. Under the Fidic Yellow Book, loss of profit is not recoverable pursuant to clause 17.6, and to reinforce the point, loss of profit is also carved out of the definition of cost (see clause 1.1.4.3 of the Yellow Book). • The “Catch-All” consequential loss exclusion: Often an exclusion clause refers only to an exclusion of liability for “any indirect or consequential losses” without any reference to a specific head of loss. This can create uncertainty because the parties are relying on a court or arbitrator to carry out the task of classifying the types of losses being claimed. This is challenging enough, as we have seen above. In contrast, if the exclusion clause is intended to cover direct losses as well as consequential losses, the intention of the clause is to re-assign financial risk for different types of losses that are likely to flow from the breach of contract. Proper consideration of these losses is required by the parties to the contract. 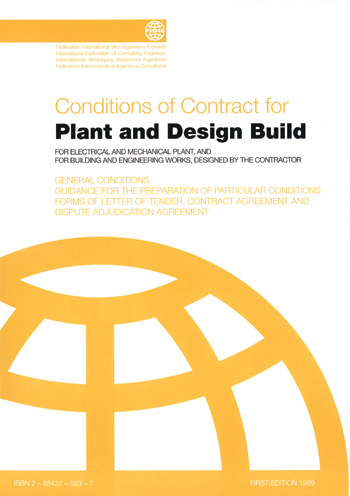 In all cases, instead of relying on shorthand terms which are of uncertain meaning in the jurisdiction in which the contract is to be performed, the parties should undertake a project-specific assessment to identify the relevant losses that could arise on the project, both in an effort to avoid a dispute about what type of damages are recoverable under the contract and in the event of the claim, to increase the probability that the clause will be enforceable under the laws of the particular jurisdiction. If you decide to include a “catch-all” provision covering consequential and indirect losses generally, be aware of using words such as “other” or “including” (for example, any other consequential loss or including the following losses) as these can limit the scope of the clause, in particular if the specific heads of loss come after the catch-all provision. It is advised first to exclude the specific heads of losses before referring separately to any catch-all provision expressly and in terms excluding “indirect or consequential losses”. Exclusion and limitation clauses are one area where parties tend to insist on express provisions so that “everyone is sure where they stand”, so it is unfortunate when they try and fail in that task. 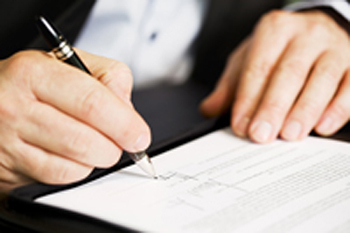 Clarity in drafting is crucial when it comes to exclusion clauses. The ways in which liability can arise in contracts are complex, as is the assessment of the damages recoverable. Parties need to avoid being surprised by the scope of their agreed limitation provisions. However, as we have seen quite often, as result of ambiguous drafting, the defendant will have to wait until the court’s decision or the arbitrator’s award to discover whether the interpretation of the exclusion clause is in its favour or will leave it out of pocket. 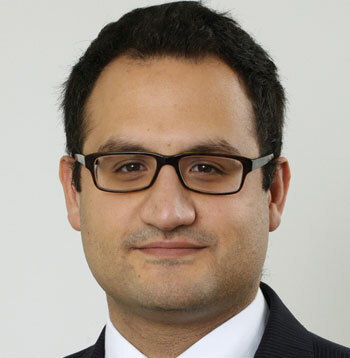 *Arash Rajai is a senior associate in the Construction Group at King & Wood Mallesons. He has wide experience in construction projects in the Gulf, both front-end and in disputes. 1) Example clause taken from the English case of Marketstudy Insurance Company Ltd v Endsleigh Insurance Services Ltd  EWHC 281 (Comm).